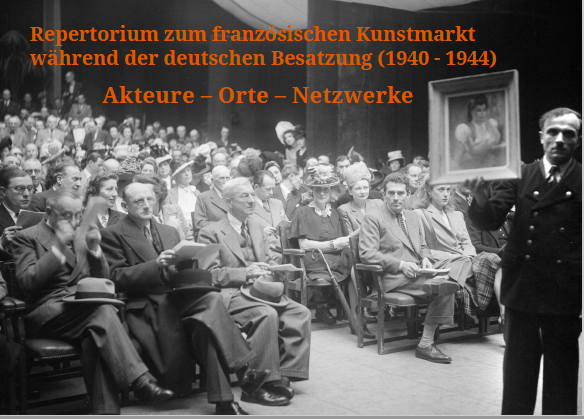 The digital Repository of the French art market during the German occupation (1940-1944) is a joint Franco-German research project with the aim of creating a directory of persons who were involved in the international trade of artworks looted by the National Socialists in France, and tracing their networks. Comprehensive information will be collected, together with references to further archival records relating to individual actors. In this context, cooperation with other provenance researchers is crucial. 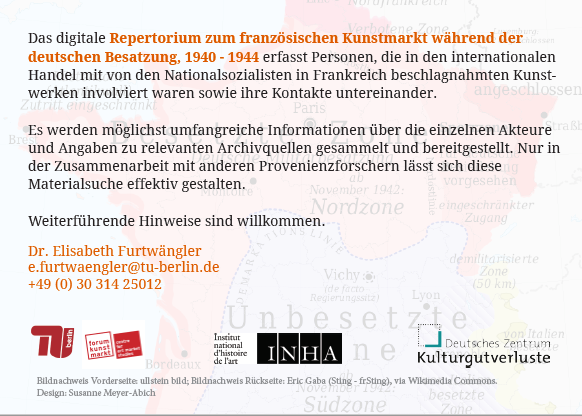 The project is supported by TU Berlin, the DZK and the INHA.